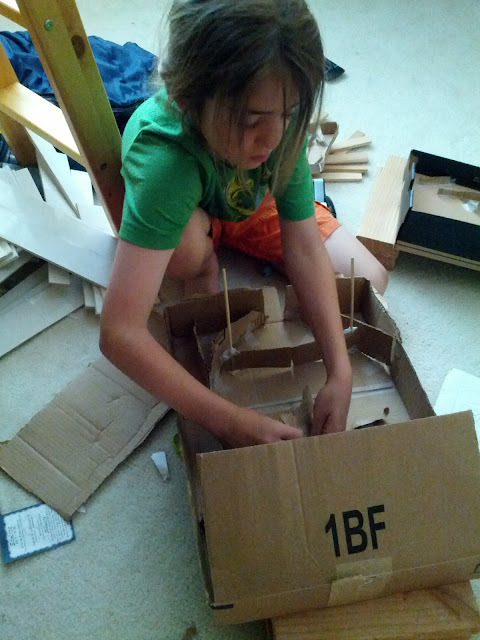 Today, I came home and Pascal had built his own personal arcade from shoe boxes and cardboard. Fixing the rotating flipper on the "big" pinball machine. Pascal re-used a motor from his roller coaster for that. 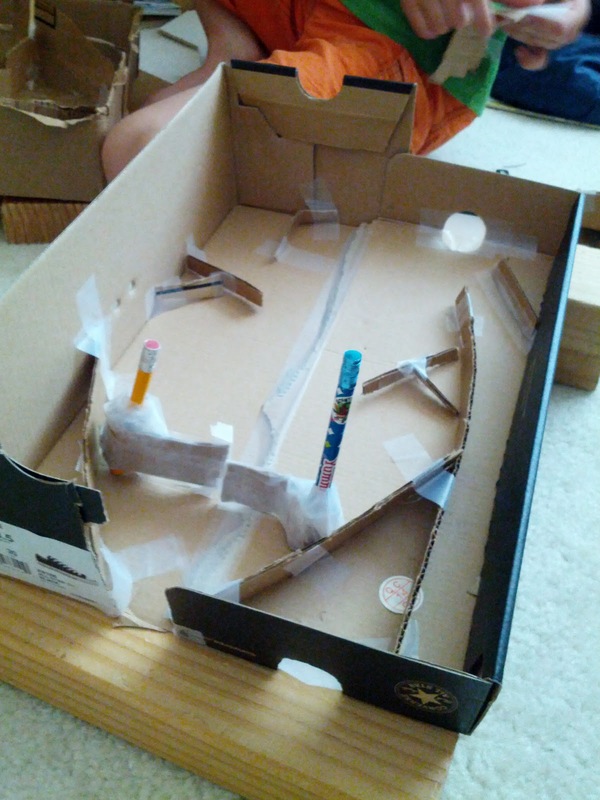 The "first" pinball machine. 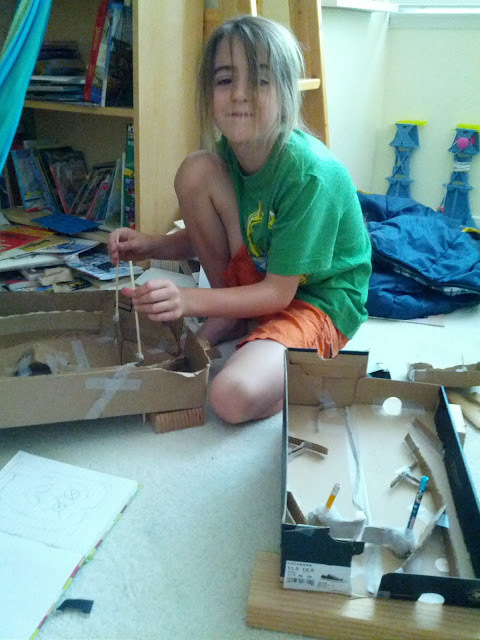 Ingenious use of pencils as axles. They work very well, by the way. The ball gets flipped up the ball channel with your fingers. The flippers are rotated by hand. The boxes sit on wooden blocks. Love it.